Sonora Sunrise is a new band that released their first album called "The Route Through the Canyon" in early 2019. They are a band from Russia featuring a variety of styles picked mostly from the Psychedelic and Space Rock subgenre. The members are Artem Demidov on guitar and synths, Dmitriy Zabrisky on guitar and keyboards, Alexey Shulepov on bass and Babai-Kha on drums. The band uses analog synthesizers. Much of the music on this album was recorded in 2 days, but other layers, vocals and instruments were added later as the music was fleshed out over time. The music is inspired by the landscape of the Altai region and shamanism. The album starts with the atmospheric and brooding "Ancient Stones (Sundown)" which includes beautifully pensive female vocals. After this short introduction, "Welcome to the Sandland" starts its 11 minute journey. 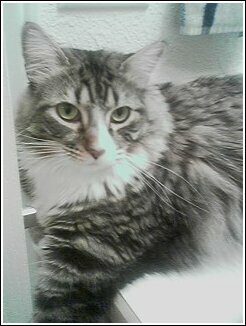 With a short spoken word section, the music moves forward with some nice soft guitar work. Soon, drums help push the track along as the guitars reflect the psychedelic and spacey sound. Even though the music is instrumental now, it is very textural and uplifting. Before the 4 minute mark, things become more upbeat as the guitars become more intense. Feeding off of a surprisingly catchy riff, sounds and layers develop using dynamics quite effectively in order to keep it all interesting and flowing. The music doesn't meander as much as many psychedelic bands, but pushes forward without spinning its wheels. The music doesn't resort to just finding a repetitive background and playing off of that, but instead has many things going on throughout the layers. Around 10 minutes, you can hear chanting vocals come in as the track winds down. "Unexpected Trip" starts with percussive tones and a synth playing a pattern. Bass joins in establishing a bottom line. The synths begin a melodic line as soft percussion builds. Soon, fuzzy guitars make a great effect and the live sounding drums keep things from going stale. The sound develops into a mellow space rock style with a nice level of lushness underneath. As in the previous track, there is a great textural feeling to this jam and, so far, that is where this band rises above many other psych bands. "Poison" is another 7 minute track, starting off surprisingly with a heavy moderate rhythm. Soon, an organ comes in followed by some solid guitars and synths. Guitars wail and synths cry out as if in battle. Things calm down for a bit as a soft psychedelic guitar comes in for a slow re-build. After this, there is a very short track that reflects the first track "Ancient Stones (Uprise of Jupiter)" with more female vocals and atmospherics. "Canyon" starts with strummed guitar and effects and airy vocals. The music softly floats and intensifies pushed by an organ. The guitar starts to improvise while wordless vocals continue and synths create a soft symphonic feel but the drums push for more intensity. The guitars change from funky to fuzzy. The song gets an expansive feel as it builds and then backs off a bit. "Millions of Snakes" starts with wind effects and acoustic guitar strumming. Suddenly, the drums herald in a stoner style space rock feel as the guitars start a quasi-drone that changes keys in a pattern and a heavy guitar improvises. Layers get added along with synths. After 4 minutes, everything breaks down and it returns to the sound at the beginning with a bit of a native American feel and a nice lush sound. "Roadside Picnic" has a nice western feel with an easy going acoustic guitar playing over a simple alternating chord pattern. It's a nice surprise and not usually a feeling you would get on an album like this. Other layers add in, but it keeps that easy feeling throughout. It's a nice, cool jam. The album ends with another of the short inter-connecting pieces "Ancient Stones (Planetary Standoff)". It's quite psychedelic with interesting effects. This is an excellent example of how variety can be a part of Psychedelic and Space Rock music. It is a very enjoyable album where even the backgrounds used for the jams is interesting and not the typical simple and repeating backdrops. The music is top notch and never really gets boring or too repetitive. The tracks explore all areas of the genre, not having to resort to one style of sound, and there are plenty of nice surprises and effects that will keep you interested, even many times after you hear it the first time. The music is also very textural with a lot of depth. So, don't be so quick to write this one off as it is an excellent album and I will be interested to see where else this band goes. This topical Trail Records move represents an album produced by a band hailing from the Russian Altai region, geographically bordering to China and dominated by diverse highlands. Well, to entitle their debut album 'A Route Through The Canyon' therefore marks a reasonable consquence, or what? And yes, if you will expect psychedelic space stuff arranged with a special dose of melancholy, atmosphere and ethnic vibe, you're on the right trail here indeed. First of all, I was confused for a while because they have updated the band name, which originally was 'Sonora' solely. Eventually this means there are also three EP's existing, as well as a live album, which they all had self-released beforehand. The album's flow may match an entire day being underway across the highlands, on this occasion unexpextedly starting with an atmospheric sundown though, including some narrative for a transition. Oh, I wished I already had the opportunity to listen to this when I stayed at the Baikal Sea some years ago, not really far away, at least in Siberian terms. Pure nature, as far as the eye can see. Awe-inspiring. The band is able to convey it, with instinctive certainty. Welcome To The Sandland then may open a new day with a fantastic dreamy flow including some shamanic singing at the very end. Spheric keyboard/synth patterns furthermore, relaxed drumming with a jazzy touch, hypnotic bass lines, soaring guitars all over. Katya Zlobina will decorate some songs with georgeous ethereal vocals in the vein of Sky Cries Mary and Rada & Ternovnik. Even acoustic guitars are used, when it comes to the charming ballad Roadside Picnic, somewhat mirroring a situation sitting round a twilight campfire with elevated position while preparing for the night. The circle closes for now, no repetition, perpetual change. Very inspiring. SONORA SUNRISE offer a fine psychedelic space tune collection for your entertainment. An album ideally suited for an hour of relaxing control. Just start the journey and then close your eyes. Four and a half stars so far. 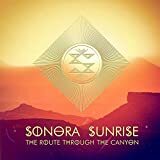 Post a review of SONORA SUNRISE "The Route Through The Canyon"